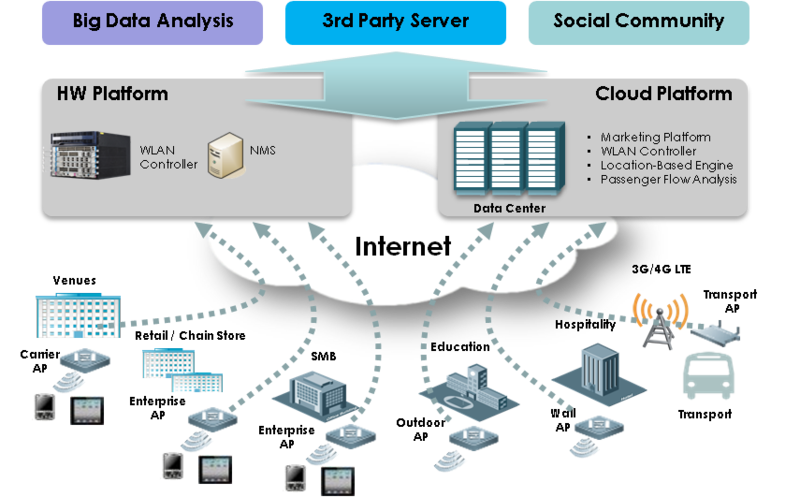 UTStarcom’s MSC-C Cloud-based Wireless Access Controller is a cloud-based wireless network management platform designed for efficient and simple deployment and operation of Wi-Fi networks in chain stores, small and medium businesses, enterprise branches, network operators and other similar customers. The MSC-C product offers a complete solution for cloud-based wireless management. The MSC-C supports device planning, configuration, control, as well as operation and maintenance functions implemented in the cloud. The platform significantly reduces TCO while ensuring high usability and improved user experience of Wi-Fi network. The MSC-C platform implements ‘loose’ coupling between AC and AP to completely separate management and data traffic for better flexibility of wireless network. 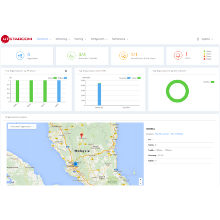 At the same time, combined with UTStarcom’s access points, the MSC-C not only provides efficient AP management, but also provides WLAN control features traditionally available with hardware-based AC only. The MSC-C cloud platform supports such sophisticated wireless control features as auto power and channel adjustment, RF management and optimization, L2/L3 roaming and others.